Fram Kitagawa, the visionary art producer and curator at the heart of this uniquely creative social movement, will outline his socially engaged and environmentally conscious vision of contemporary art that has brought hundreds of Japanese and international artists to the mountains of Niigata and the islands of the Seto Inland Sea. He will be joined in discussion by the curator, Jonathan Watkins, director of Birmingham’s IKON Gallery, who has organised many pioneering shows of Japanese contemporary art in the UK. This lecture is free to attend. Please email the Institute to book your place as seat numbers are limited. The lecture is part of the international conference held the following day on Friday 4 December. 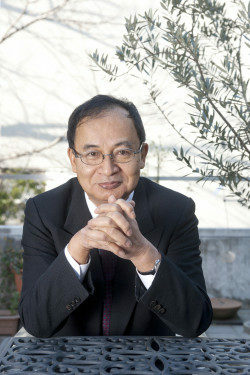 Fram Kitagawa is Chairman of Art Front Gallery, Tokyo, and General Director of the Echigo-Tsumari Art Triennale and Setouchi Triennale. The two triennials are among the largest contemporary art events in the world—attracting around half a million visitors to Echigo-Tsumari and around a million to Setouchi, to see and participate in a range of artworks and events in rural contexts. 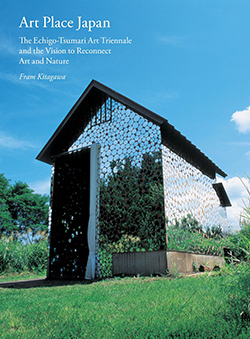 A translation of his writing, Art Place Japan: The Echigo-Tsumari Art Triennale and the Vision to Reconnect Art and Nature is published by Princeton Architectural Press in November 2015 and will be available at the event. Jonathan Watkins is Director of Ikon Gallery, Birmingham since 1999. He was previously Curator of the Serpentine Gallery (1995-1997) and Director of Chisenhale Gallery (1990-1995). 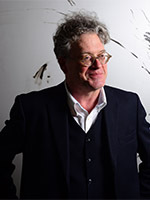 His major exhbitions include the Biennale of Sydney (1998), Facts of Life: Contemporary Japanese Art (Hayward Gallery, London 2001), Shanghai Biennale (2006), and the Guangzhou Triennial (2012). He has written extensively on contemporary art including, among Japanese artists, essays on Tadashi Kawamata and a Phaidon monograph on On Kawara. 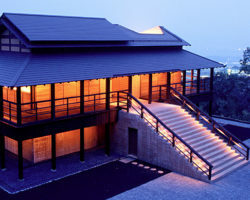 Organised by the Sainsbury Institute for the Study of Japanese Arts and Cultures in association with the Japan Foundation.